A grain of frustration with a light in the end of the tunnel. 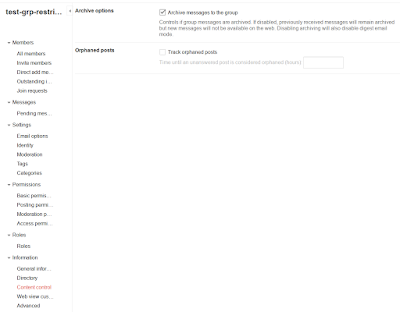 Back in a while G Suite had a simple way to create email distribution lists - in the admin panel you could simply create a group of users, e.g. support@example.com, add a couple, decide whether users outside of your organization can send an email to the group address, and you are done. Today I tried to do the same - to create a distribution list - with the current version of G Suite for Business, which ended up in hours of time effort and a lengthy conversation with G Suit support. Grou-what? 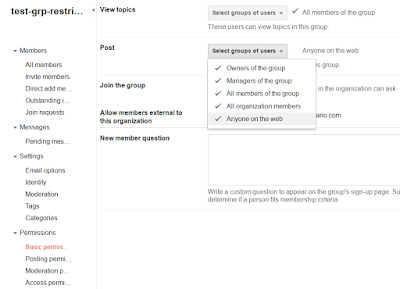 A Google Group? 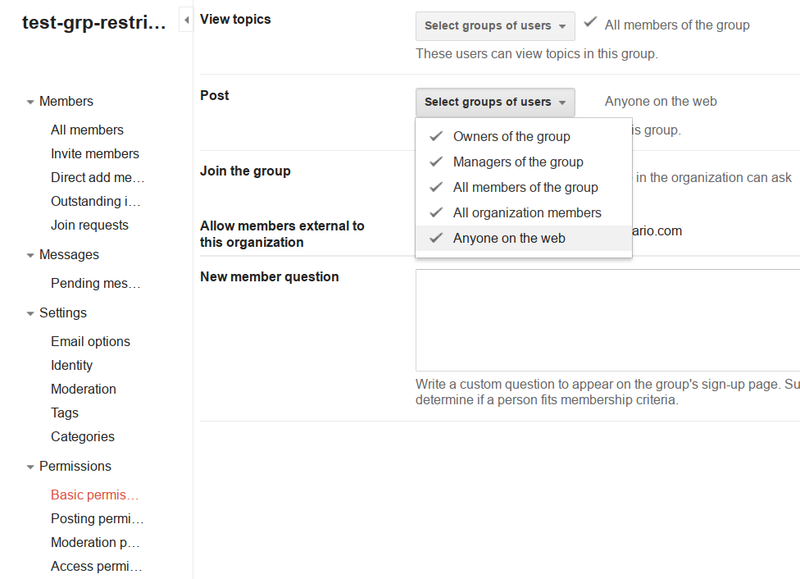 I don't want no Google Group! I want, you know, a distribution list! 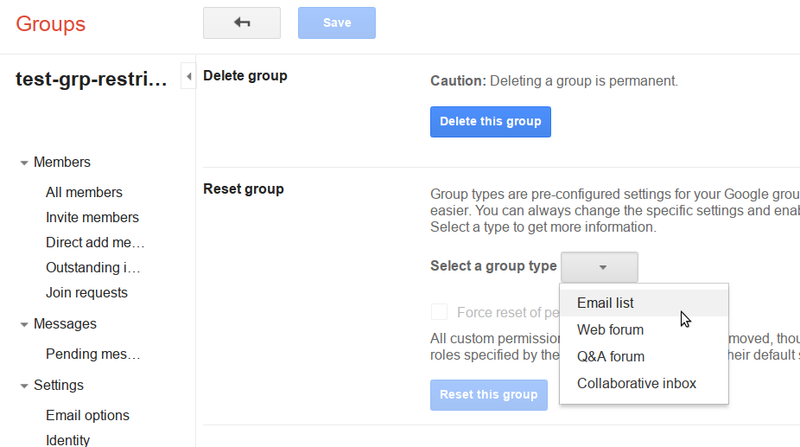 Clicking on "Access Settings" of the group properties in G Suite leads to a particular settings page on... groups.google.com. Just one of 21(!) other setting pages! My day schedule didn't include a ramp up on Google Groups, so I hooked into support chat straight away. The Google guy explained to me that with G Suite Business the only option is to configure a particular Google Group to behave as a distribution list. Zaar Hai: OK. Saving and testing. Can you please hold on? G Suite Support, Jay: Wait. G Suite Support, Jay: That is not going to work right away. G Suite Support, Jay: We have what we called propagation. G Suite Support, Jay: You need to wait for 24 hours propagation for the changes to take effect. G Suite Support, Jay: Most of the time it works in less than 24 hours. G Suite Support, Jay: Yes, we are Google. 24 hours! After soothing myself, I decided to give it a shot - it worked! The configuration propagated quite fast it seems. The messages still got archived though, so we blamed it on the propagation and the guy advised me to come back next day if it still does not work. Well, after taking 24 hours brake, it still didn't. I did a bit of settings exploration myself and found that there is dedicated toggle responsible for the message archiving. Turns out the reset does not untoggle it. Once disabled, it propagated within a minute. That was a frustration part. Now the light - a guide on how to have a distribution list with G Suit. 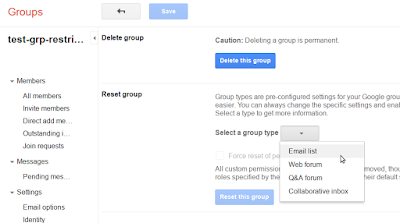 Create a group in G Suite admin console. If you need just an internal mailing list, that is for members only, and are fine with the message archiving, then you are done. 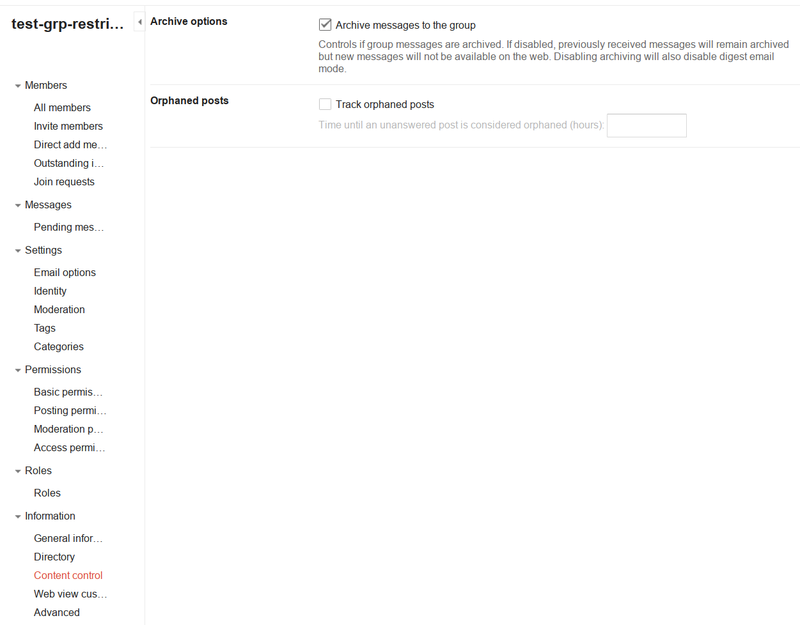 If you need outside users to be able to send emails to it (like you probably do with, e.g. sales@example.com), then read on. This is almost a classic distribution list - we only need to disable archiving. In my case, the change went into effect immediately. Doing all of the above steps may be quite daunting on a system administrator that needs to manage many groups. Why not to have a shortcut right in G Suite admin console to make it easier? 24h propagation period sounds like some blast from the past. The Google guy told me that any G Suite setting change can take up to 24 hours to take effet. Back to the future now, Google offers a distributed database with cross-continental ACID transactions, which makes me wonder about the reasons behind 24h propagation period.